Under Counter Storage: What’s the best way to go? 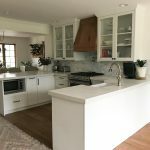 When it comes to choosing the type of base cabinets for your kitchen there are three main choices: the typical door and drawer combinations, all drawer bases and bases with full height doors. 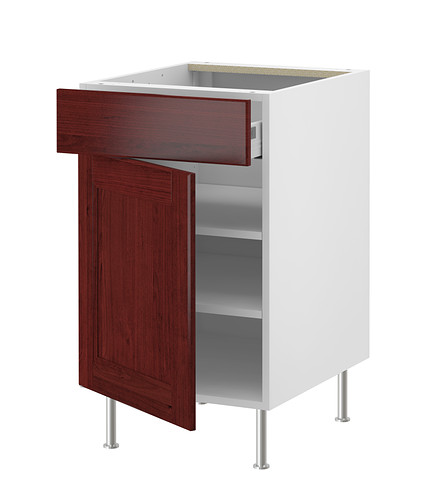 The horizontal look that all drawers provide is great and works well for both traditional and modern styles. They’re easy to use and to quickly see everything that’s stored. Great to store lots of small items. Of the three styles they’re the most expensive. Using them may even double the cost of your entire project. Loss of storage space because they’re essentially little boxes within big boxes. Don’t work well in small spaces. Since they have both drawers and doors they’re more practical. Better for a little of everything. Since the bottom door isn’t high and blocked by the drawer, it’s tough to see and access stored goods. They look a bit choppy when mixed with the other base cabinets. They’re the most affordable ones of the bunch. What’s your take? Which one of these do you prefer?